The home suffered from significant drywall damage from water. SERVPRO tore out all the flooring and drywall down to the studs for drying. Air movers and dehumidifiers were put in place to prevent damages before rebuild. SERVPRO responded to this home to find a water loss. 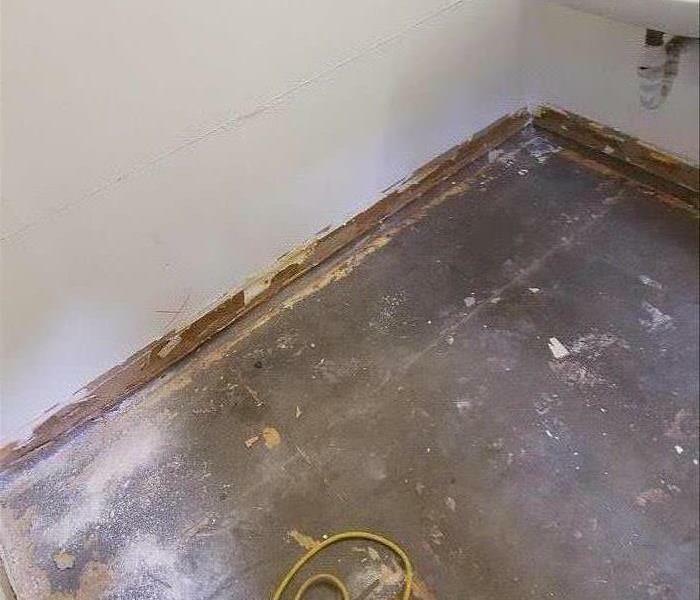 This bathroom suffered from flood waters. The baseboards and flooring was removed and air movers were put down to dry the sub flooring before reconstruction. This hotel suffered from significant water loss. 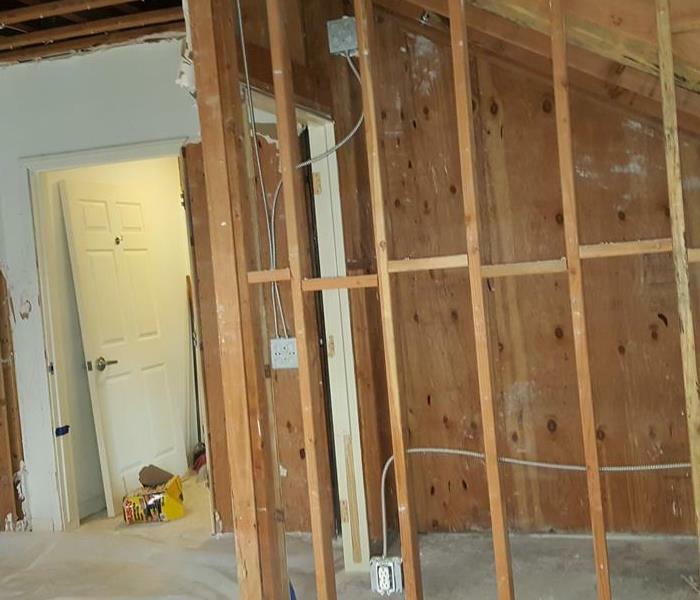 The drywall, flooring, and content in the rooms were damaged. SERVPRO responded and assessed the loss. They were able to dry and rebuild the property back to normal conditions. This facility had a lot of water and mold damage. SERVPRO was able to come in and remediate the mold and begin the reconstruction process. If you have any questions about our large loss capabilities, feel free to reach out at anytime. 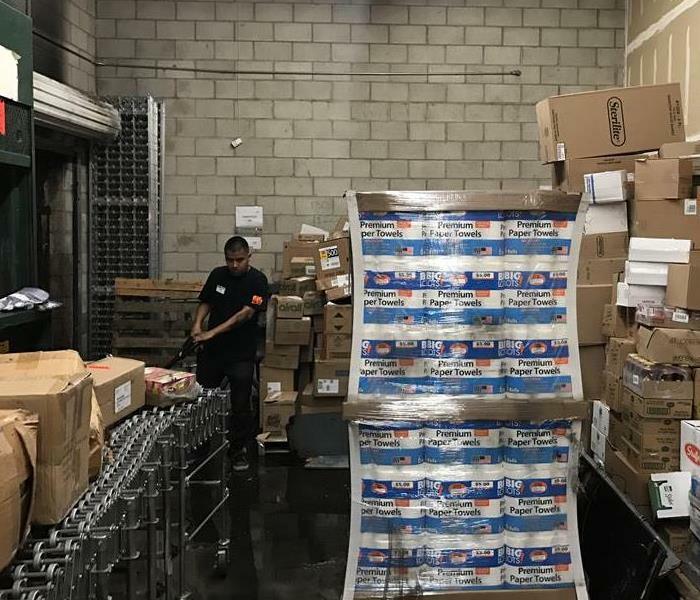 This commercial facility had a lot of water damage. After the water was extracted, SERVPRO placed drying equipment and checked the structure daily to make sure things were drying. 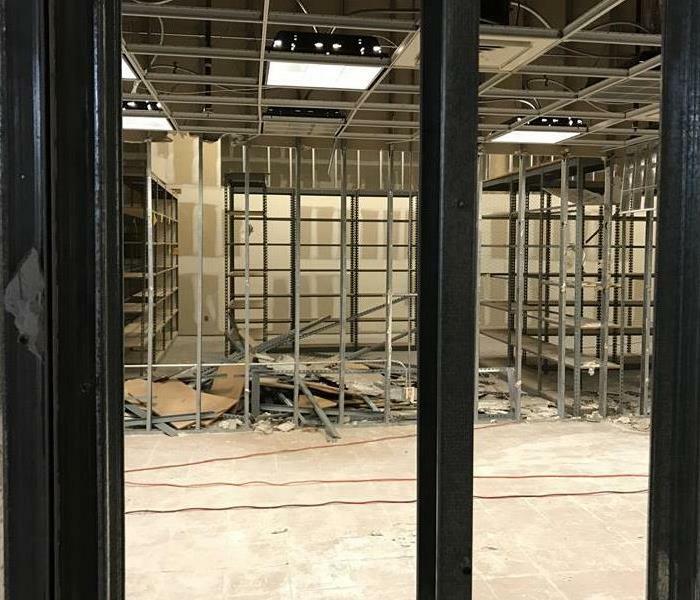 After a few days all of the equipment was removed and the building was ready for rebuild. Water can cause a lot of damage to the unseen eyes. 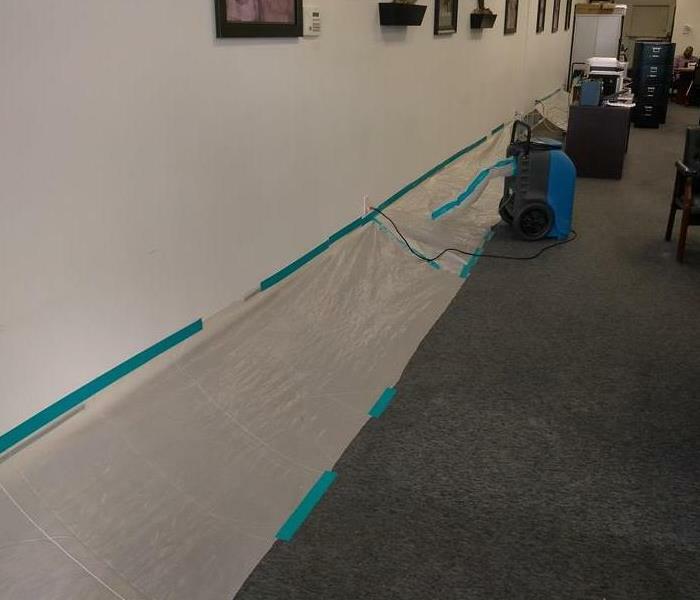 In this cases it was a slow leak behind a wall that caused significant damage over time. SERVPRO was able to dry and clean up, fully restoring the inside of the wall. 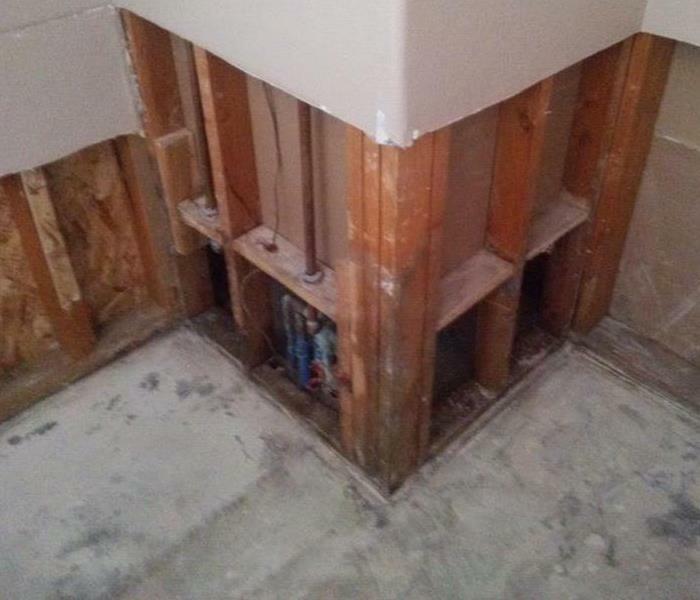 This bathroom had a long term water damage that started to cause microbial growth in this bathroom. 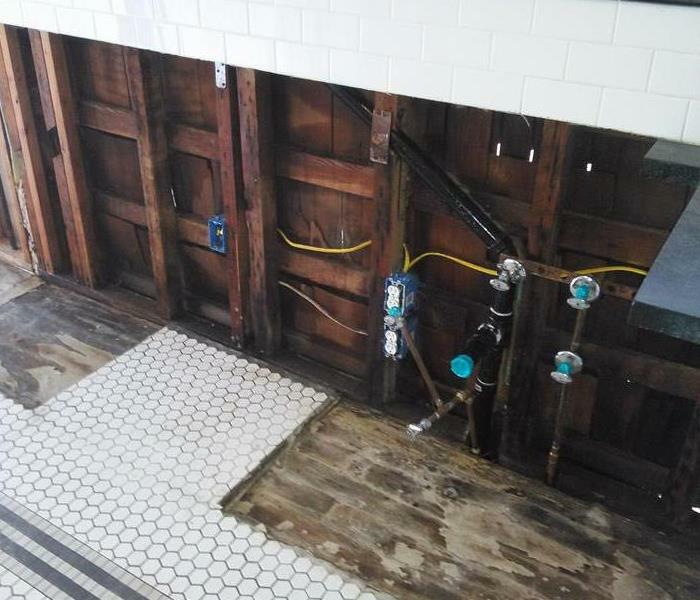 SERVPRO was able to get on site and begin the remediation process. If you have any questions, feel free to reach out at any time. 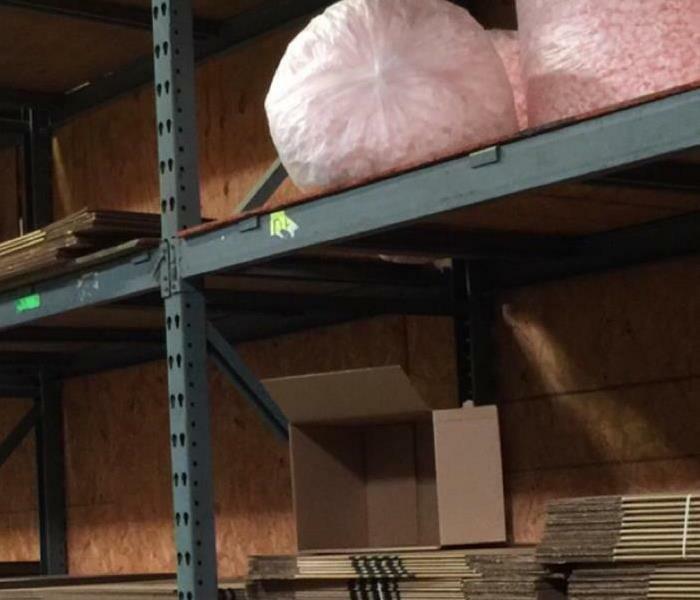 This warehouse had a massive amount of water damage from a recent storm. SERVPRO was quick to respond and get on site to start removing all of the standing water. 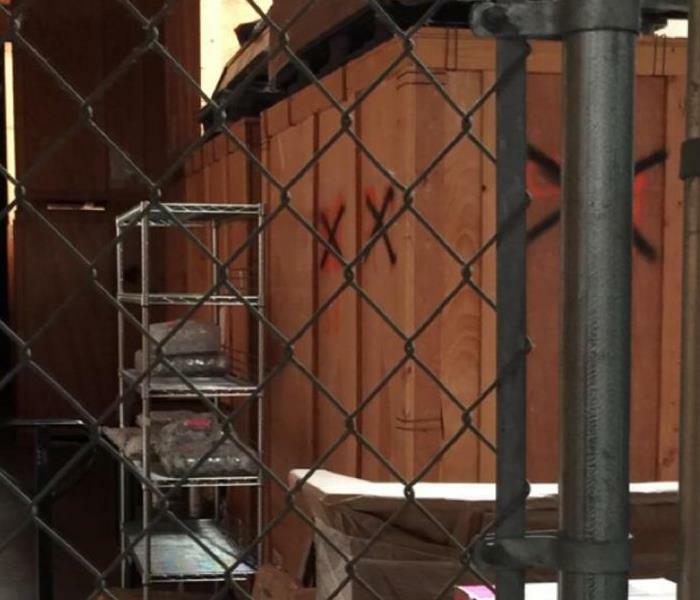 Once the water was removed the drying process could begin. A recent storm caused rain waters to damage the inside of this property. SERVPRO was quick to get on site and take care of the water damage and the mold. If you have any questions, feel free to reach out at anytime. How to remove mold in home? 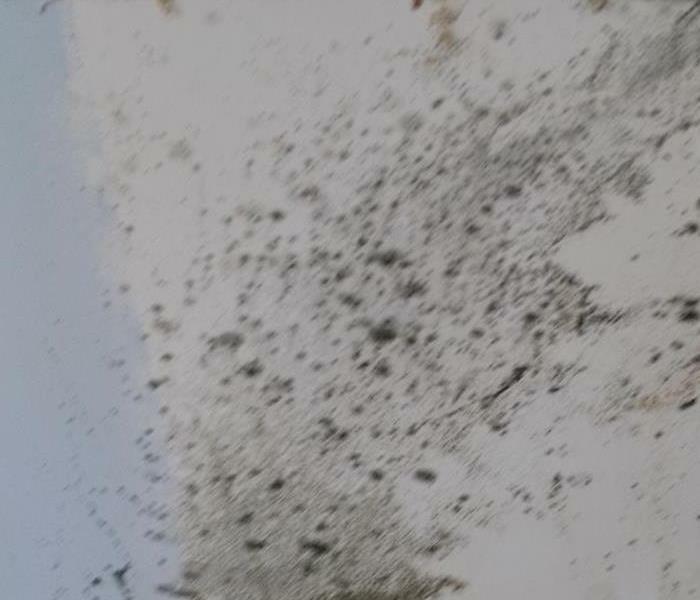 If you find mold in your home, SERVPRO is able to come on site and help with the full remediation process. If you have any questions, feel free to reach out to us at any given time. A storm came through and caused a massive amount of water damage in this large commercial property. SERVPRO was able to get on site quickly and begin the restoration process. Our teams are available, 24/7. This office suffered from a water loss. SERVPRO responded immediately and began clean up. The team has special techniques they can use for drying. The area was dried and restored back to pre water conditions. 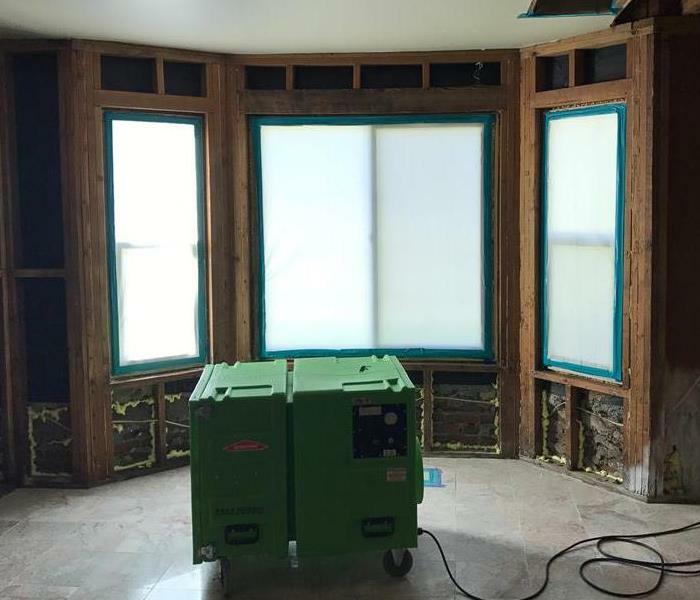 During the drying process after flood in this home, SERVPRO put plastic over the windows to ensure the area would dry properly. We have professional drying equipment that is used to restore your home back to pre storm conditions. Mold can be many different colors. If you suspect you have mold in your home or business contact SERVPRO of South Redlands / Yucaipa 24/7 at (909) 307-9700 and we can respond immediately. The bathroom flooded after a water line break. 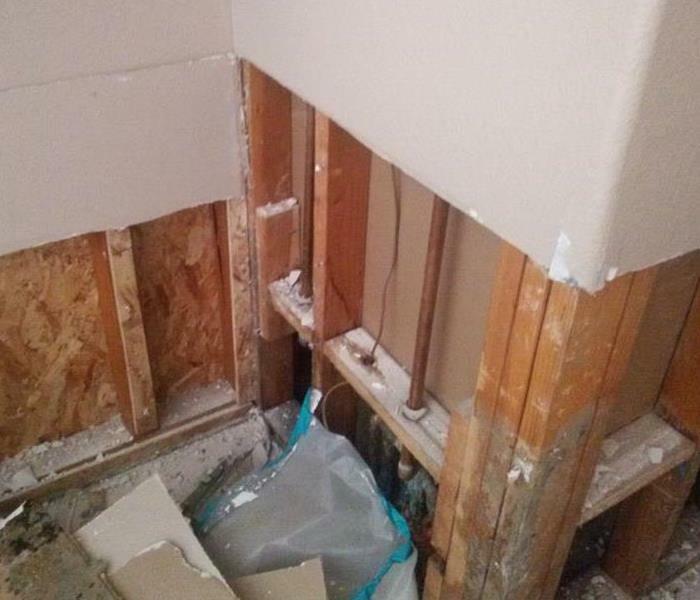 The bathroom was tore out and replaced. They used professional drying equipment to ensure area was dried properly before restoring the normal conditions. 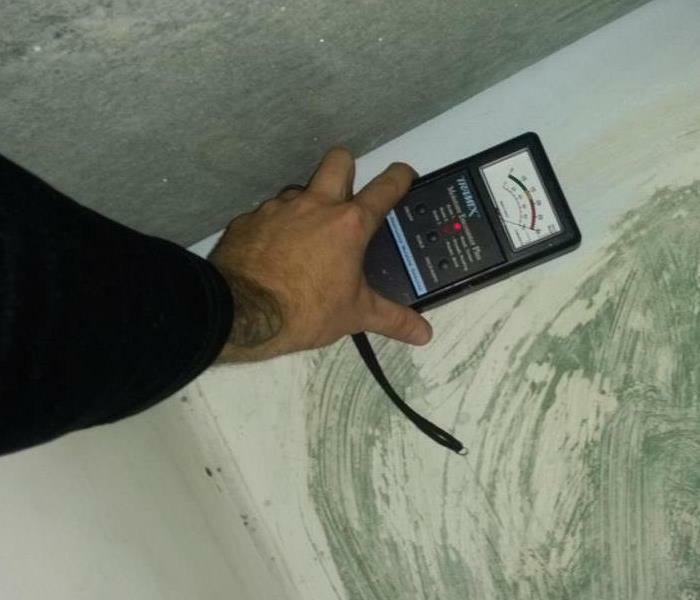 SERVPRO can assess, inspect, and treat mold in your home or business. 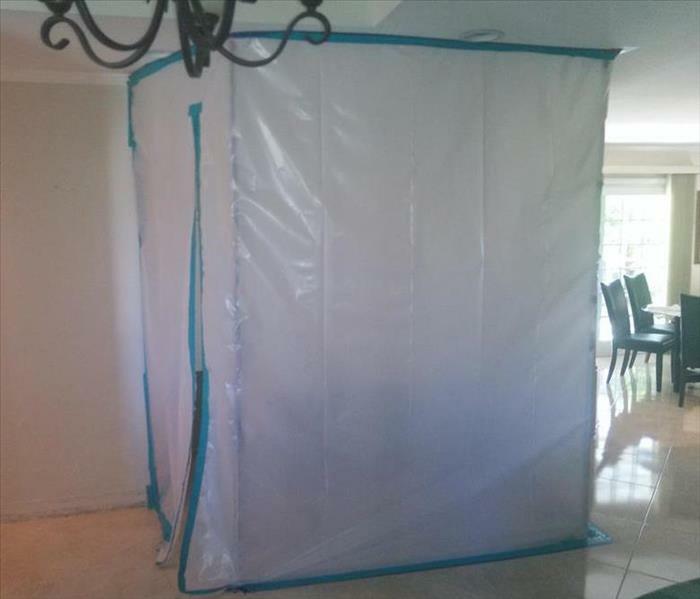 We have trained expertise and the right equipment for mold remediation. Mold can grow quickly so this area was isolated to keep the mold from spreading. Mold can grow quickly if not treated as soon as it is found. 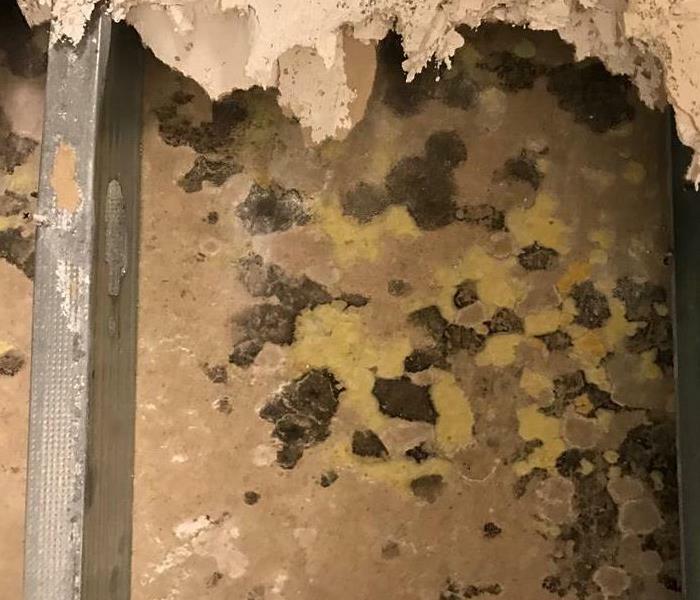 The mold was found in the wall and SERVPRO responded immediately. 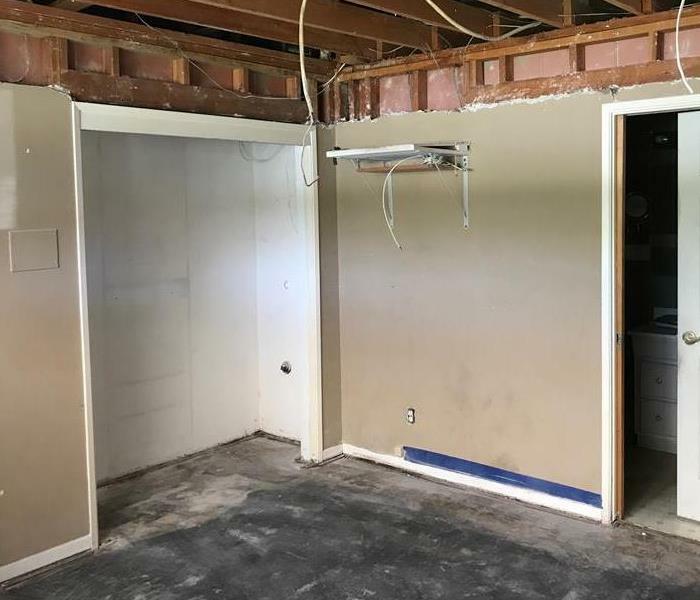 They tore out the drywall and cleaned the area. 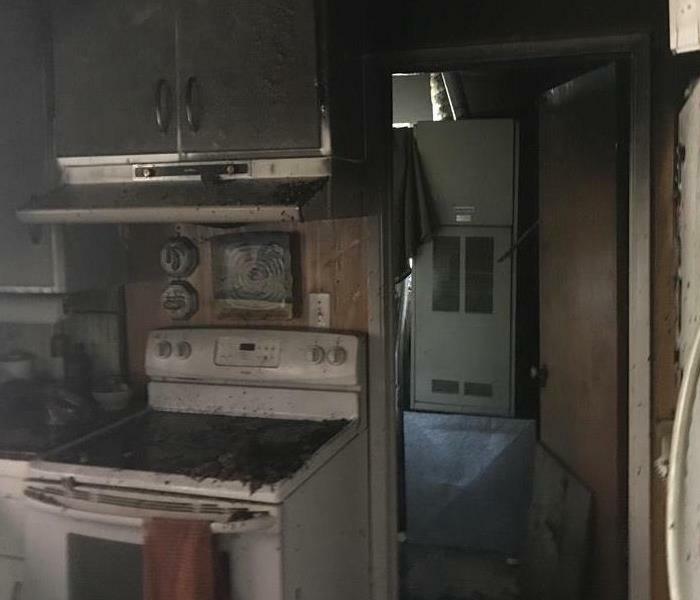 This home suffered from a fire. The home had significant amount of soot and smoke damage. The team came in and cleaned the stains along with reconstruction of the home. This home suffered from wind damage after a severe storm. SERVPRO responded and began demo and reconstruction framing this home. The team can respond after any type of storm, we are ready 24/7/365. 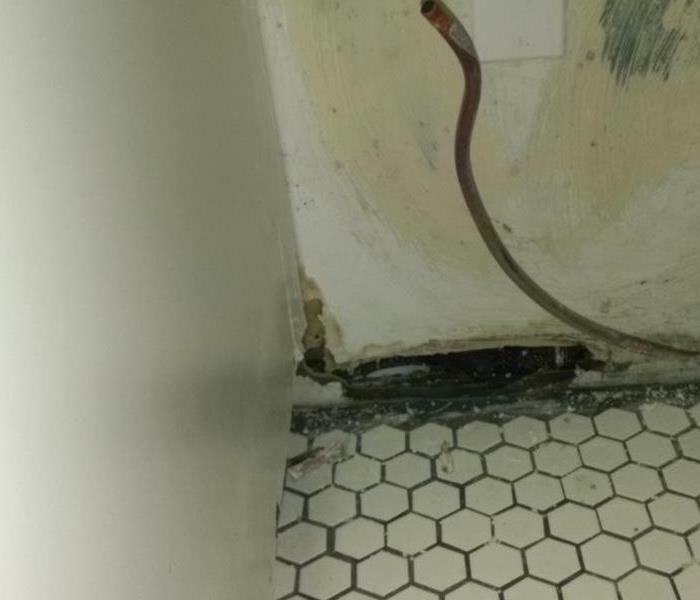 This bathroom suffered from a water loss after a leak in the ceiling flooding the room. The team responded and used air movers to dry the floor and dehumidifiers to remove the moisture from the room preventing future damages. 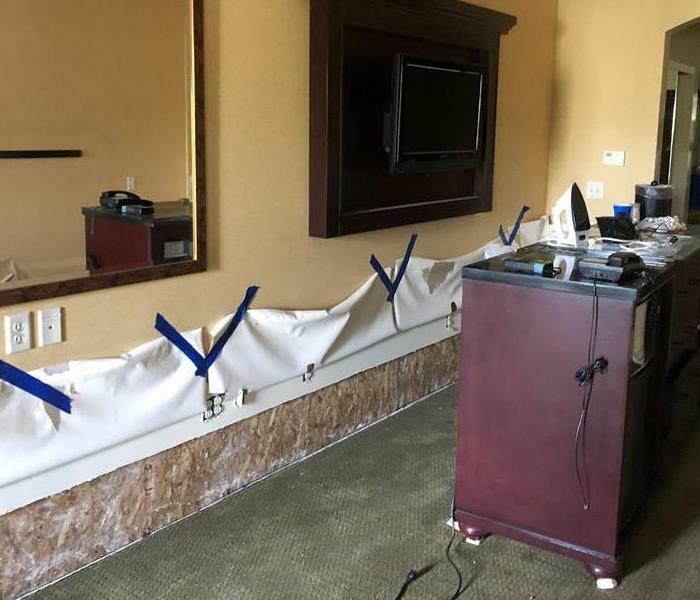 This hotel room suffered from significant amounts of water that leaked from a busted pipe in the ceiling. 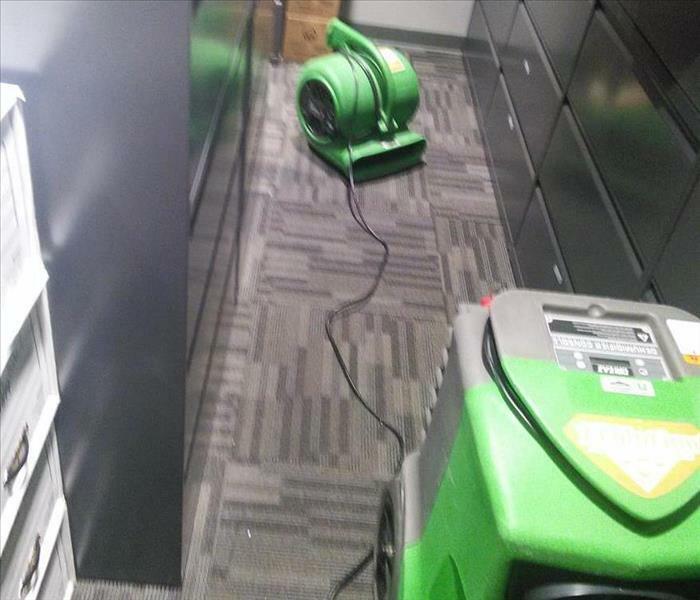 SERVPRO responded with a team of technicians and equipment to remove the water from the room. Our team was called in to assess this mold situation. 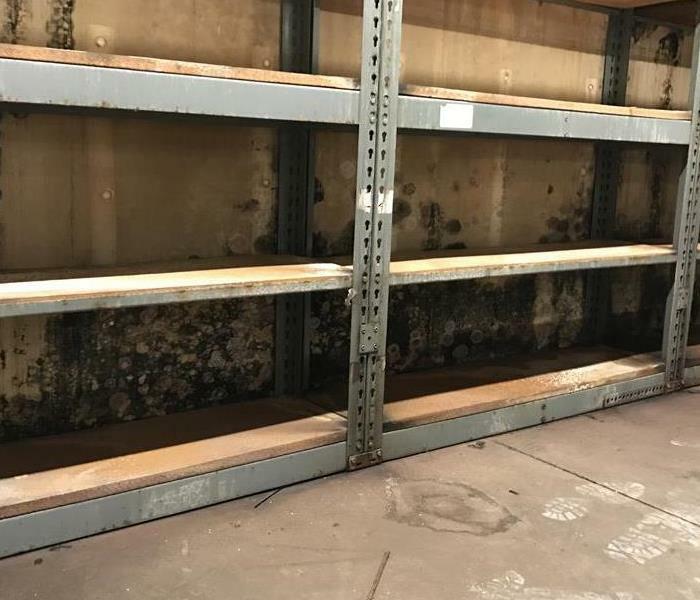 As you can see it has grown out of control and after being directed the Environmental Hygienist our team began the mold damage restoration process. 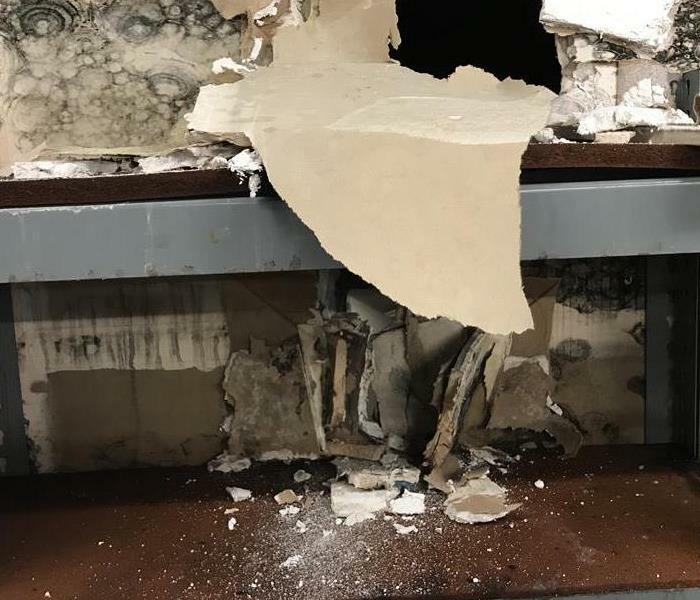 This was a water damage and then we came across what looked liked Mold and we had a 3rd party come out to do some testing do figure out if we would have to do a Remediation. We got testing back so we had to do a containment for the area where the mold was located. We also services commercial building, offices and more. This was an office space that was flooded by a supply line in the bathroom. 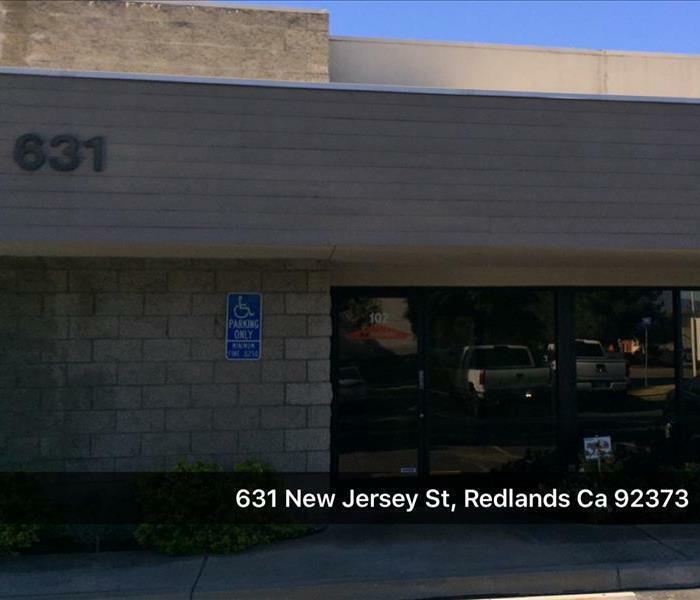 We can service you building as well just call SERVPRO of South Redlands/Yucaipa at 909-307-9700. We are happy to help 27/4/365. SERVPRO is available 24/7 for water, fire, mold, storm, and commercial services. Our team of licensed professionals can restore your home or business back to its pre-damaged condition. Give us a call today! Have you ever wondered what the inside of a SERVPRO looks like? Now you know! 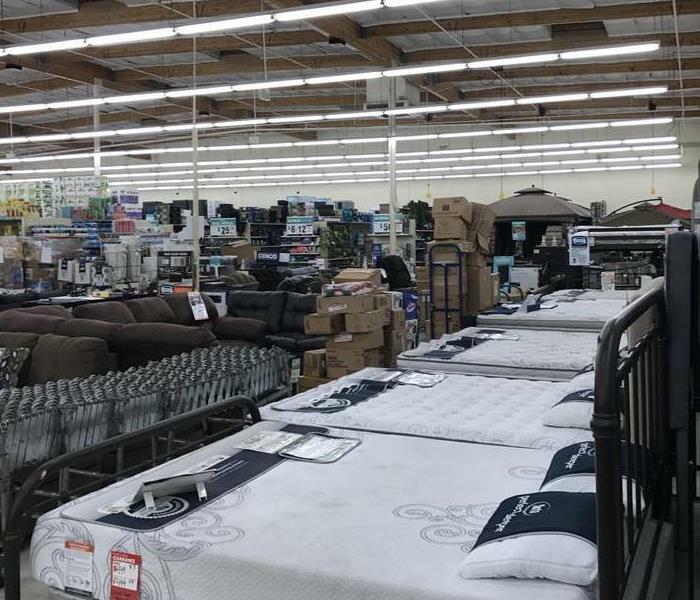 This is an idea of what you will see when you walk in. 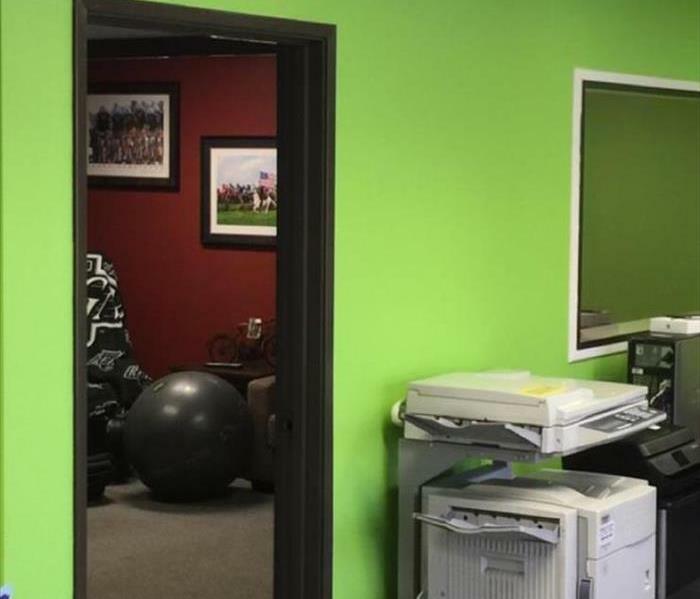 SERVPRO green walls and smiley faces. What more could you ask for? This is one of our water extraction units that we use to remove water. If you have significant amounts of water in your home or business contact us. We have technicians trained 24/7 to respond. 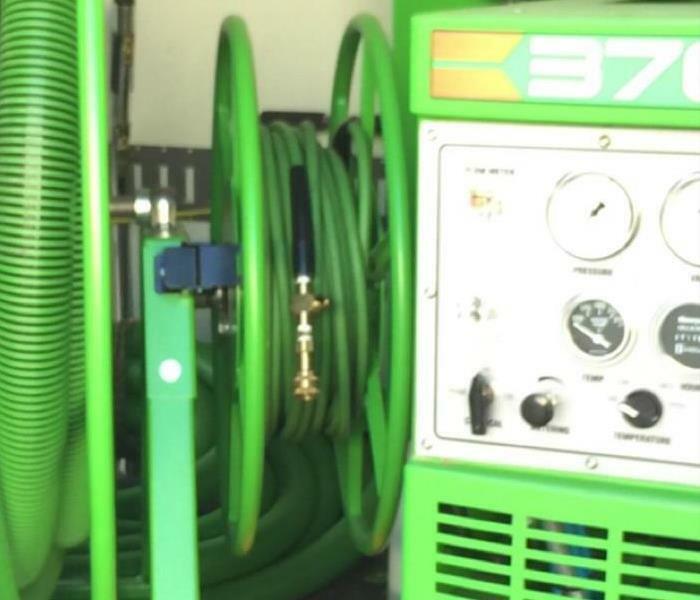 SERVPRO has the professional equipment needed for your water restoration emergency. The technicians are trained to extract the water from your home or business. 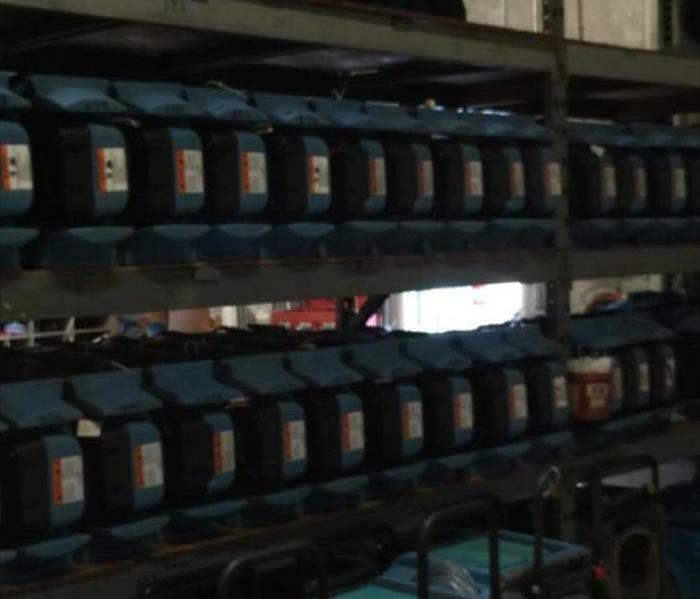 We have racks of drying equipment for water damage. Contact us 24/7. 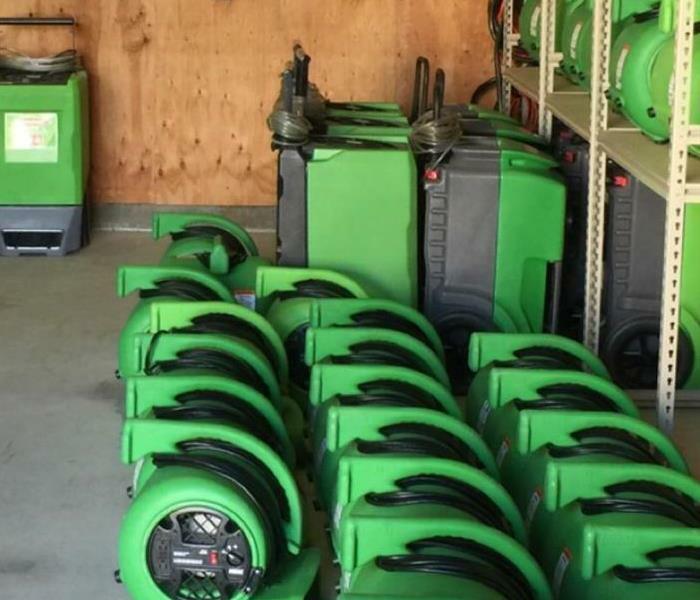 SERVPRO has air movers that are used for any type of water restoration clean up. The air movers can be used for drying after water damage or sewage damage. We are ready 24/7 for your emergency needs. 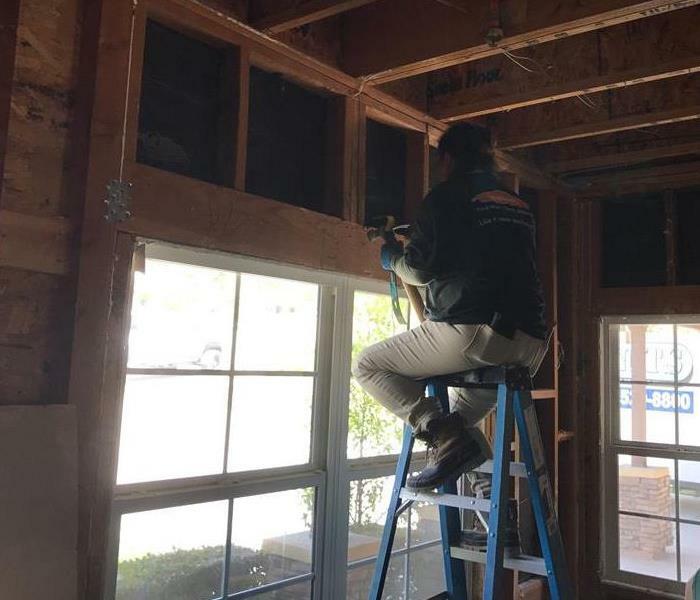 When your home needs to be packed out we make sure that we have the supplies on hand to make sure we are able to carefully remove everything out of your house or business until it is reconstructed. 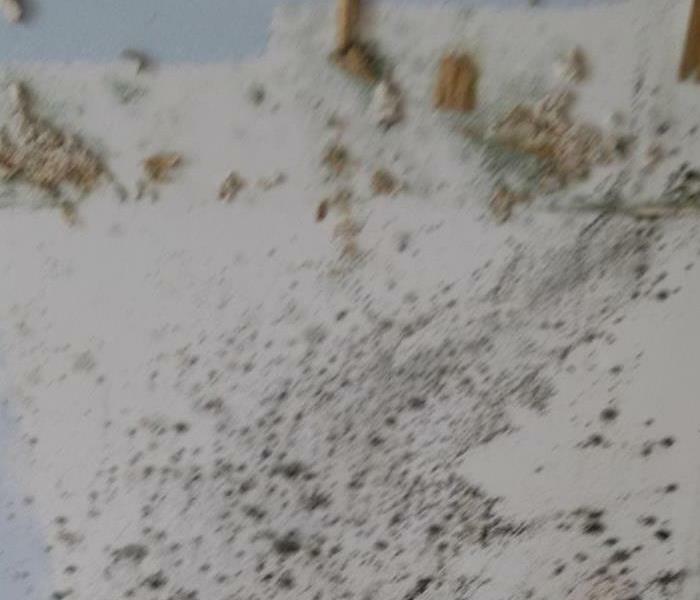 Soot is one of the side effects of a fire in your home or business. We use ultra sonic tanks to clean the majority of your hard good contents. It works miracles in removing soot and smoke from fire damage. 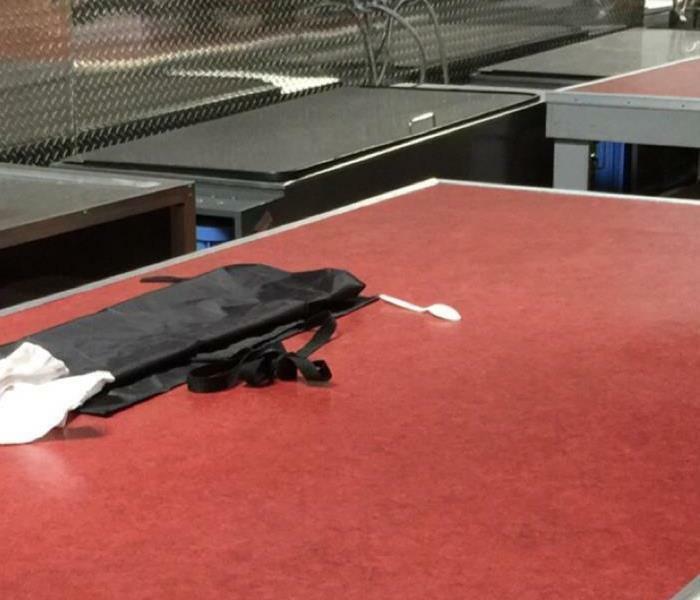 SERVPRO has special equipment they can use to clean content and belongings after a fire loss. This room has a special machine that manipulates oxygen which removes the smell of odors. Especially fire and smoke. SERVPRO can respond and immediately begin clean up and restore your home to normal condition after a fire. 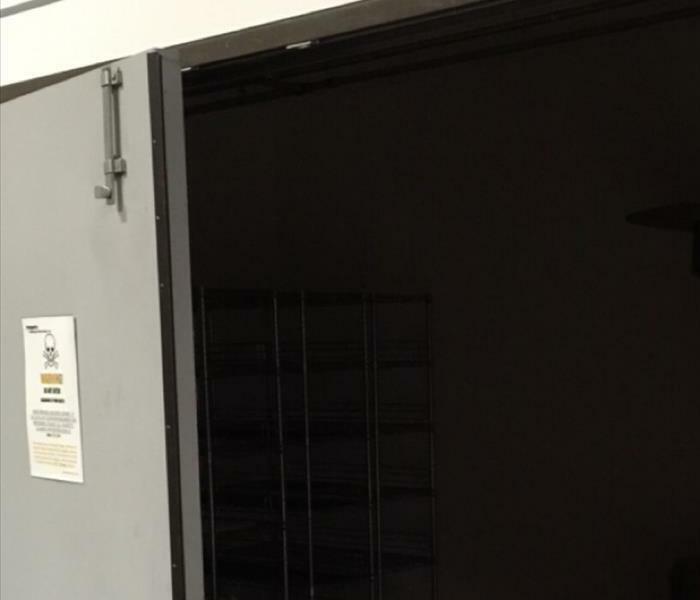 We store your belongings until your house or business is re-constructed in our safe and secure building. SERVPRO can provide many services along with restoration clean up after fire. We have a supply of new boxes to pack you back. 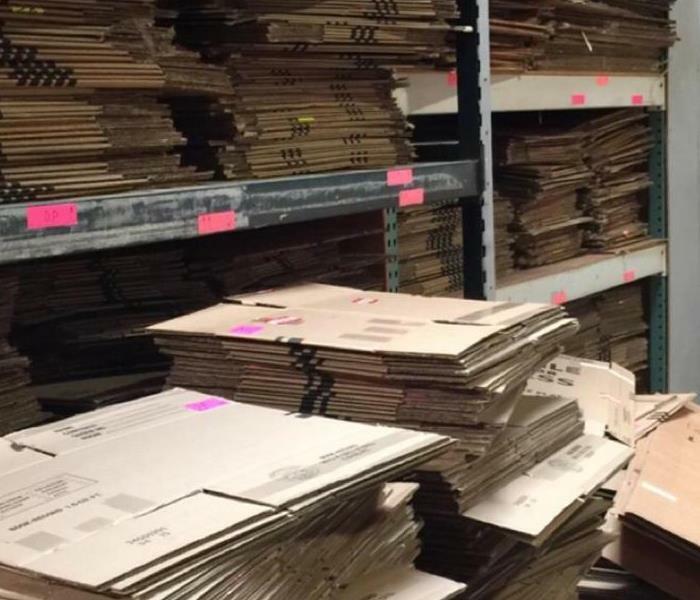 We can pack your content in your home or business and store during the reconstruction process.